FRAMED PRINT. 22x18 inch (56x46cm) Framed Print with Black Satin with Off-White Digital Mat. Artwork depicting TALKING MONGOOSE HOUSE. The home of Voirrey Irving at Cashen s Gap, Isle of Man, where Gef, the Talking Mongoose manifested Voirrey stands with her father at the front door. Shipping from USA. Artwork Description... 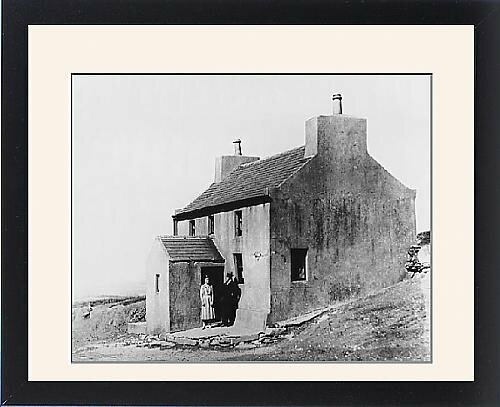 The home of Voirrey Irving at Cashen s Gap, Isle of Man, where Gef, the Talking Mongoose manifested Voirrey stands with her father at the front door.